Pickersgill-Kaye, a trading division of ASSA ABLOY the global leader in door opening solutions, has been a key supplier in the rail industry for generations often winning repeat business, so when the firm’s safety equipment installed for British Rail decades ago needed upgrading the contractor looked no further than the original manufacturer. Class 442 units were first rolled out on the then state-owned Waterloo-Bournemouth line in the late eighties featuring Pickersgill-Kaye’s passenger emergency system, a pull-handle which activated the brakes. Three decades on and the company’s safety critical equipment is again required for a state-of-the-art traction upgrade being carried out by Kiepe Electric UK, a member of the Knorr-Bremse Group, for South Western Railway. The £45million refurbishment of the Class 442s to improve performance included fitting new traction and new braking systems. After Kiepe Electric had looked at the blueprints for the original kit, the call went out for Pickersgill-Kaye to supply a vital control component. Pickersgill-Kaye had to produce 360 passenger emergency alarm handles that would operate in tandem with the new braking system from Knorr-Bremse Rail Vehicle Systems, replacing the original pneumatic valve with an electrical switch which sends a signal back to the driver of an emergency situation and if after a set time the driver fails to respond, the train will automatically stop. Passenger safety is paramount for rail operators, who all need reliable warning systems on their trains that will help staff respond quickly to potential emergencies. One of the reasons for choosing Pickersgill-Kaye is the firm’s significant experience in supplying this type of equipment for train companies not only in the UK but around the world. 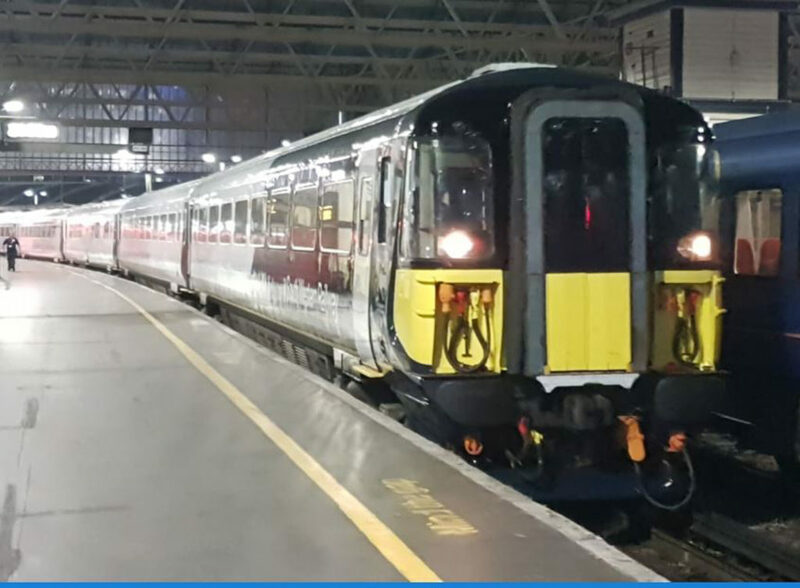 Renowned for the robustness and reliability of its products – some of its railway passenger door locks have seen 100 years’ service in the UK’s transport infrastructure – the Leeds-based rail components manufacturer now has the support of owner ASSA ABLOY to enable the company to keep winning business against stiff competition. Creating a unique lock manufacturing hub dedicated to the global rail industry is the driving force turning the Yorkshire business into a R&D facility and rail centre of excellence for designing and manufacturing the products that will be required by the industry in the future. All Pickersgill-Kaye’s safety critical passenger systems are manufactured with high quality materials and meet regulatory industry standards and specifications for the safe operation of trains, stations and infrastructure.